The two areas of a home I most frequently hear complaints about are kitchens and bathrooms, hands down. Everyone wants a gourmet or spa like feel in their retreats, and it seems these are the areas people feel the most apprehensive about making dramatic changes to, outside of paint and accessories. The idea of remodeling can be scary and intimidating, but can it be done? And on a budget? Well of course it can! With a bit of planning and research, anyone can makeover their bathroom without breaking the bank as long as they are willing to put in a bit of DIY hard work! If you feel that your bathroom is in need of a boost, here are few ideas and tips for you to consider. It is important to figure out your needs and map out a tentative design plan of attach before you bring in a contractor (if this is needed). This will help you save a lot of hassle during the later stages of the remodeling process….trust me on this! The existing design of the bathroom is something that should be considered before you remodel the current bathroom. You should make sure that the new design suits the needs of everyone in your family. Consider that the remodeling costs of a bathroom can be extremely high even if your bathroom is very small, so you should without a doubt set a budget for yourself before you begin. If it can be fixed rather than replaced it will save you quite a bit. 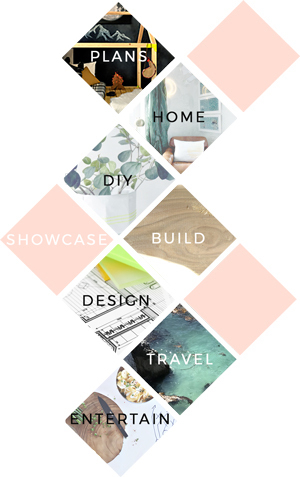 In the DIY blogging world, we are masters of our domain and repairing and upcycling are something we excel at. Why not carry this mentality into your design project every chance you get? If you can update rather than purchase new hardware, while you refinish your existing cabinetry you may save yourself a considerable amount of money. Go vintage… give your space a bit of a lived in flair. Save yourself in cost while adding some truly unique features to your bath. Nothing can be compared to the serene spa like experience a bathtub can provide, so if you can skimp in other areas in order to splurge here, you may truly feel the value of every dime to your dollar. A variety of bathtubs such as soft bathtubs, whirlpool bathtubs and hot bathtubs are available in the market. You might actually pass out from some of the amazing technologies found today. In terms of practicality, single person bathtubs are always going to be easier to clean and maintain (not to mention use) than double person bathtubs. If your bathtub is a fiber glass tub, and it has a few cracks, it’s actually possible to repair it yourself. If the problem is beyond repair, then you can install a liner, but perhaps this is an area where you might choose to let a professional help you out. You should use appropriate flooring for your bathroom, bottom line. This is an area I think requires a bit of thought and consideration. Don’t be fooled here, thought and consideration don’t necessarily translate to cost, it simply means that you should choose a flooring material that will handle the water and moisture well. It would be devastating to redo your bath only to have to repair again in the future where water has damaged something. Practicality is king here. Hardwood flooring in the bathroom is not likely to be your best choice simply because the materials do not stay wear well in a moist environment, however a vinyl wood-like flooring might be a fabulous compromise. Yes I said vinyl… it’s come a long way folks, and you might consider checking out your options. 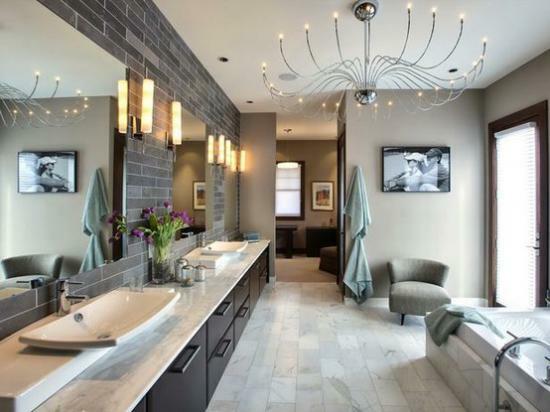 Lighting in the bathroom can make or break the space. If you have a way to allow natural light into the space, so much the better, but if not, your lighting choices should attempt to mimic a light bight naturally lit environment as best as possible. A brighter bath can change your mood. If you can remodel in such a way that you can allow plenty of sunlight to come in, perhaps by adding a window, your investment will be well spent. Choose your lighting fixtures according to the size of the bathroom—there is such a thing as too bright! More typically though, lighting fixtures tend to be a bit undersized. Consider that sunlight and daylight are best suited for your bathing and dressing needs while subdued lighting can make you feel more relaxed, so pick a fixture appropriate to your needs and wants as a homeowner and person who will actually use this bathroom for it’s intended purpose. When it comes to bathroom storage and organization, you should consider your needs once again and go for vertical storage or shelving where space is limited. Vertical storage spaces can actually be better than their alternatives, because they allow you more room to maneuver in a potentially small space, and they utilize what space you do have in a more clever manner. When in doubt, think up… this is always my motto. Consider unconventional options. Why spend time, money and energy on replacing or adding traditional bathroom cabinetry, if this isn’t even your style. Go with something more furniture like that still accomplishes the same thing. If it’s not a standard structural piece, you run a better chance of being able to create it yourself, and this will add both style and savings to your bottom line. Remodeling a bathroom is no easy task. Considering your goals, planning, and attempting to salvage as much of the space and it’s parts as possible is going to save you time and money in the long run. There are aspects of this job that should probably be left to the professionals (like the plumbing and electrical) but many of the remaining tasks can be done on your own and will save, save, save you quite a bit on cost!